There are 25,000 islands scattered over an area larger than the combined areas of Africa, Asia and Europe. While some of the 23 nations in this area have strong national AG churches, many remote island nations have few believers. 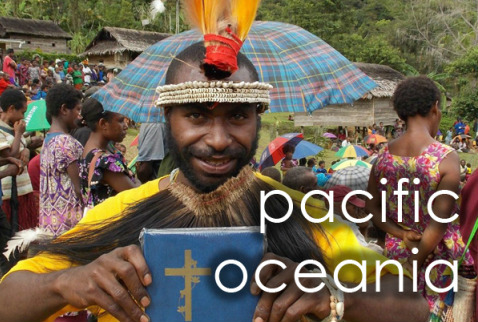 One challenging country is Papua New Guinea, a culturally diverse nation with more than 850 indigenous languages. God is using our AG missionary workers to evangelize, disciple new believers and assist in church planting efforts. However, God is working. This photograph shows the joy of this man in receiving the first Bible in his own language. This didn't happen decades ago—it happened just a few months ago! Join us in praying for the Islands and help us get the Gospel to every unreached or forgotten people!